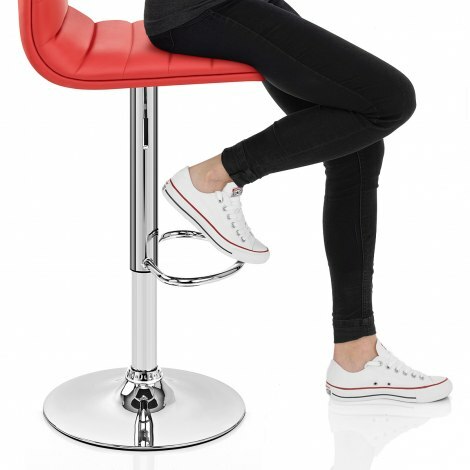 The Linear Bar Stool Red is a striking stool, with a sensational design that is universal yet sublime at the same time. A bold and beautiful piece for the bar area, the Linear is a punchy addition to the home that will leave your guests amazed. 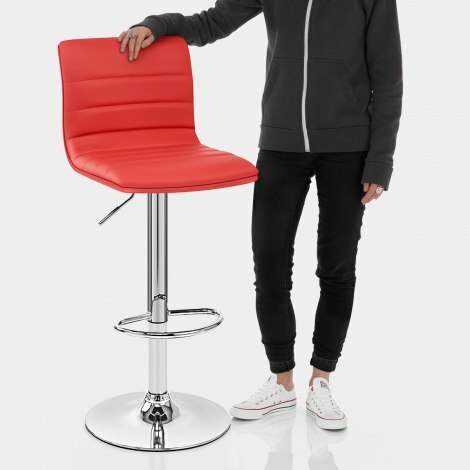 The seat is comfortable and accommodating, with high density foam padding and a high, supportive backrest. The red faux leather that covers the seat is stitched into linear segments, hence the name, and gives a retro touch to a modern stool. 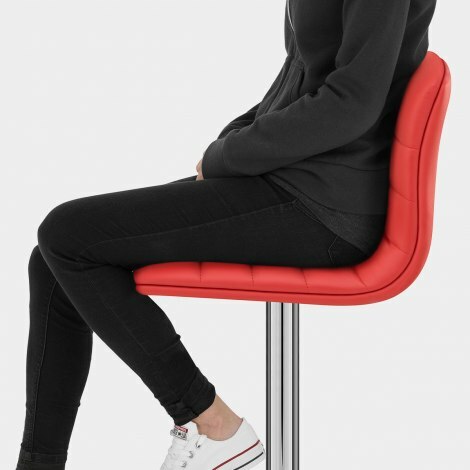 Perfect at any breakfast bar, the Linear comes with a gas lift mechanism that swivels 360 degrees, for variable height and easy access, a beautifully formed footrest, and a circular rubber floor protector. These give it even more desirable qualities and serve to make the Linear an enticing prospect for whatever location you happen to have in mind. "Great quality and value for money - Excellent service"
Been looking for good quality reasonably priced bar stools and was recommended the company by a salesman at Bridgemere Water Gardens. Checked and ordered on line and they were delivered the next day. Packaged so securely I’ve never had anything delivered that was packaged so well. Would deffo recommend Atlantic Shopping. Nice stool, well padded and comfy. Looks great in my kitchen and tucks nicely under the breakfast bar. Well pleased with my purchase. Strong, stools. Perfect colour. So easy to assemble. Very pleased. Excellent execution from start to finish. Easy to put together. We are very happy with these stools, good quality and very good looking in our kitchen.